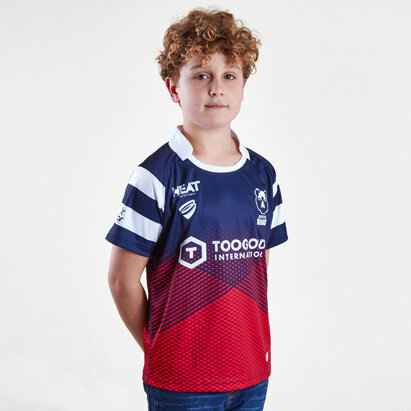 New era, new strips for the Bears so guarantee to stand out at Ashton Gate Stadium in this Bristol Bears 18/19 Alternate S/S Replica Rugby Shirt. The Bristol Bears will embark on the 2018/2019 Gallagher Premiership season in bold new kits. The alternate jersey combines the club's new logo with the traditional hoops that they often use. Monochrome is where it's at. This short-sleeved jersey comes in white with a black collar and black hoops on the sleeves. The B Sport logo is on the right of the shirt in white whilst the club badge is on the left. The brand new logo now features an angry looking bear with the words "Bristol Bears" written underneath. 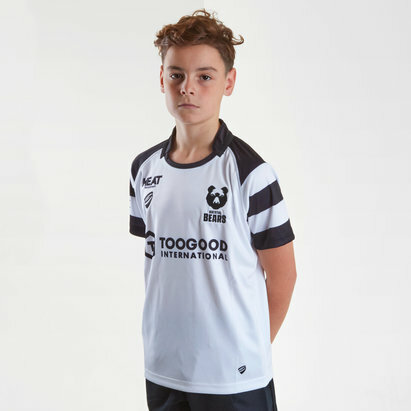 The club's sponsor - TooGood International - is printed across the chest. The club's owner has said: "In a challenging market in order to attract investment and new audiences we must be brave in our vision," so make sure as a fan you support the vision and movement.